The St.Hilaires: He Has Risen! "And behold, there was a great earthquake; for an angel of the Lord descended from heaven and came and rolled back the stone, and sat upon it. His appearance was like lightning, and his clothing white as snow. And for fear of him the guards trembled and became like dead men. But the angel said to the women, 'Do not be afraid; for I know that you seek Jesus who was crucified. 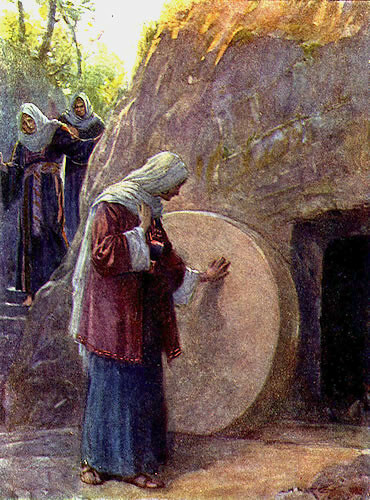 He is not here; for he has risen, as he said. Come, see the place where he lay. Then go quickly and tell his disciples that he has risen from the dead, and behold, he is going before you to Galilee; there you will see him. Behold, I have told you. '"